Paul Pogba and Marouane Fellaini are set to miss out on Manchester United's EFL Cup quarter-final clash with West Ham on Wednesday. The midfield pair have both picked up five bookings for the season - the last coming against the Hammers on Sunday - and will not feature at Old Trafford. 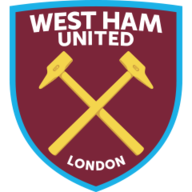 The two sides meet for the second time in the space of four days after the weekend's 1-1 draw in the Premier League, with Hammers manager Slaven Bilic in a determined mood ahead of the game. "We are going to do everything we can to beat them," he said. 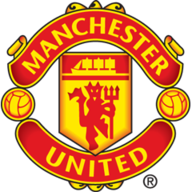 "Manchester United are probably also going to change their team. What we expect is the same shape from them, same kind of football, just different names. "It's a quarter-final, which means if you win you are in semis and that's a big thing, and only a couple of games to the final." The fitness of Michael Carrick remains unclear for Manchester United after he missed the weekend game, meaning there could be a surprise return for Bastian Schweinsteiger who featured on the bench on Sunday. Luke Shaw and Anthony Martial could come back into contention but defenders Eric Bailly (knee) and Chris Smalling (toe) are out. Diafra Sakho is out for West Ham after scoring the opening goal in Sunday's game, but then suffered a hamstring injury. Andy Carroll is close to returning from a knee problem but will probably be saved for Saturday's visit of Arsenal, while defender Winston Reid is available after suspension. Manchester United and West Ham last met in the League Cup in 2010/11, where the Hammers won 4-0 in the quarter-final. It remains their largest win over a Premier League side in the competition. The Hammers are looking to reach the League Cup semi-final for the 10th time in their history, and the first time since 2013/14. The Red Devils have lost only one of their last 24 home League Cup games against fellow top-flight sides (W22 D1), losing 1-2 against Chelsea in January 2005. Jose Mourinho has not lost a game in the League Cup since December 2013, winning eight and drawing two since then. This will be the fifth time the Portuguese boss has led his team into a League Cup quarter-final (W3 D1), yet the first time he has done so as the home side. West Ham have won just two of their last 11 away games against Premier League opposition in the League Cup (L9), conceding at least once on each occasion. Well, West Ham did very well on Sunday and Manchester United continue to be the most unlucky team in the Premier League! They have a problem at Old Trafford of playing well, but not getting wins, and now the annoyance of Jose Mourinho is clear for everybody to see. West Ham might need to get Andy Carroll back into the mix as it sounds like Diafra Sakho has picked up another injury. They're running out of bodies. I think Mourinho will make quite a few changes and I wouldn't be surprised if this went to extra time, but I'm expecting the hosts to edge it.